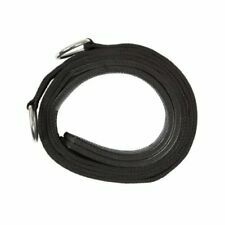 20mm wide QUICK RELEASE SHACKLE CURL HOOK STRAPS. 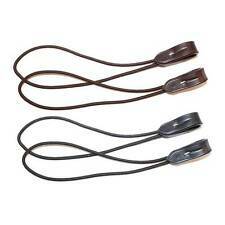 All stitched with industrial nylon thread for strength and water resistance. Breite unten je 2 cm. COMPLETE SET LESS THE BIT- BREACHING & LOIN STRAP, BREASTPLATE & NECK PIECE, GIRTH & SADDLE (partly patent, mostly leather), BRIDLE & BLINDERS(patent leather), TRACES & REINS & CRUPPER WITH BACK STRAP. 25 verschiedene schöne Motivbriefmarken "Kutschen". Collars allow the horse to support his load with his whole body while keeping his shoulders free. If the collar is too wide, the pressure will be uneven, resulting in a rocking motion and causing sores on the shoulder. PONY harness. Totally complete set(includes:Bridle w/blinders, over-check, saddle & girth, reins, traces, Neck strap, crupper & breaching) except bit. VERY CUTE! Traces sewen into the collar. Everything is thick and super nicely padded. Small Pony Premium Quality synthetic driving harness. Perfect for the show ring or on the farm. This set features an adjustable blind bridle with overcheck, black fleece breast collar, a sturdy saddle with heavy lining in a comfortable 3" width, breeching, crupper, solid reins with snap ends and lines. Double buckle adjustment just about everywhere to fit a wide range of breeds. Made in the USA. Bit to bit is 33" to 38" All around girth is 58". Bridle w/ blinders. Bridle- 30" ~34" bit to bit. Saddle & Girth. Show or pleasure driving harness set. Girth- 48" to 54". This single harness set is new & very unique in copper colored studs over tan accents! Bridle w/ blinders. Bridle- 30" ~35" bit to bit. Adjustable Noseband On Bridle. Saddle & Girth. This single harness set is new & very Pretty in Green Crystals & green trim! It is black leather with green accents. Saddle & Breastplate style! B. Length around nose, taken about two fingers width below the prominent cheek bone. Show or pleasure driving harness set for a set or team of Mini Horses. 2-Saddle & Girth. Bridle w/ blinders. Bridle- 32" ~36" bit to bit. 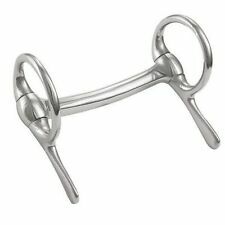 Adjustable Noseband On Bridle. This single harness set is new & very Pretty in Pink! Saddle & Girth. Show or pleasure driving harness set. Girth- 51" to 62". HARNESS MAKERS GIG TREE. 25CM ACROSS THE TREE BASE. IDEAL PROJECT. MADE FROM BOTH PATENT LEATHER AND SYNTHETIC, WITH BRASS FITTINGS. Die Premium-Universal-Imprägnierung für alle Textilien rund um den Radsport. Biker-Wet-Protect eignet sich hervorragend für alle Textilien, Funktionsbekleidung, Leder- und Wildleder. Biker-Wet-Protect bietet eine extrem wasser- und schmutzabweisende, atmungsaktive Abperl-Beschichtung für alle Natur- und Kunstfasern sowie Leder, auf Basis modernster Technologie. Really a cute item! It has a red browband and silver conchos. From the circumference across the shoulder pad, down the side, across the girth and back up the other side Everything you need to get started except the bit. Saddle & Girth style! B. Length around nose, taken about two fingers width below the prominent cheek bone. 2-Saddle & Girth. Show or pleasure OR WORK driving harness set. NO BREECHING. Girth- 58"~66". ORIGINAL DÄN. PFERDEKUMMET LEDER MIT GESCHIRR GEBRAUCHT . Crawley And Son's Driving Whip. The Whip Is Fitted With A White Lash. This whip is embossed with a beautiful brass handle. The Cane Is Black And Is Solid. The handle has plaited detail. We would be happy to assist in any way possible. 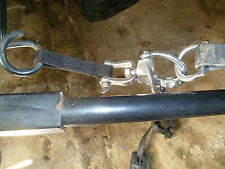 Leather Driving Harness Adjustable t o fit most horses, haflingers, and mules. Complete with bridles, bits, reins, breechings, etc. All hardware is stainless steel. "Honi Soit Qui Mal Y Pense". Antique Military double harness pad / harness saddle. Pad width at top :- 3". Pad width across motif :- 4". Military motifs. We would be happy to assist in any way possible. ANTIQUE COACH/CARRIAGE HORN COPPER/NICKEL . By "ARMY & NAVY C.S.L. LONDON"
ANTIQUE COACH/CARRIAGE HORN COPPER/NICKEL. By "ARMY & NAVY C.S.L. LONDON". Made by the famous LONDON horn makers -. "ARMY & NAVY". "ARMY & NAVY C.S.L.". Copper with nickel silver rim and mouthpiece. (FAMILY CRESTS. Family court of arms brass crests. " Antique Black English Leather Driving Harness Bridle". Antique condition. Solid fittings fittings and all english leather and made in england. (SURFICE CRACKING TO PARTS OF LEATHER.). ). Lovely Little Miniature complete set of Shetland harness or would fit a donkey. This was used on a standard Shetland for one hour,he has a larger head than most i.e the bigger bit ! but if more holes were made in the leather. Beautiful pony driving bridle. Size: Pony. Steel buckles. We would be happy to assist in any way possible. "ARMY & NAVY". In very good unused condition. Very nice soft leather not the cheap stuff! From the circumference across the shoulder pad, down the side, across the girth and back up the other side (surcingle) From the point where the brow band attaches to the cheek piece across the brow band to the other cheek piece is about 13". Each singletree has 24" longer. Main body is 1 1/2" round Heavy Duty steel tubing. · Assembles in just minutes with simply tools. · It has a five of length settings available to fit different teams. Great for the beginner. Styled to fit most ponies. 688499150507#FBM. You may also like. 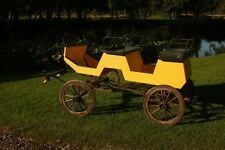 Used in either a railway carriage or horse drawn coach. Embossed "The New Edinburgh Rd 56168 T.B.L.W". Antique interior carriage lamp/ candle holder. to secure a lit candle so that passangers are able to see/read whilst travelling at evening/night. DRIVING CART HARNESS PONY SHETLAND MINI LEATHER PLAIN TRIM TAN Back In! Popular!